Your source for Lobo scores and news. 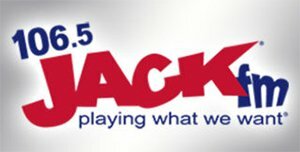 Lobo broadcasts will be on JACK FM 106.5 this season! Click here during games to listen live! Post-game show with Coach King follows after every game. Four dedicated sportscasters take great pride in being the "Voices of the Lobos." Brent Taylor is a former LHS football coach and middle school principal and a 39-year professional educator. Currently, Taylor serves as a director with Region VII Education Service Center. He has been calling Lobo games for 29 seasons. Johnny Vaughan is a lifelong resident of Longview and played both football and baseball for the Lobos, graduating in 1968. He was also a defensive back for SFASU. He is self-employed and is a partner in Triple J Investments, Inc. of Longview. Eddie Richardson is a 19-year veteran of the sports team. Richardson's support for all Lobo sports goes back to his days on the Lobo baseball team, graduating from LHS in 1965. He is employed by the City of Longview Parks and Recreation Department. Mike Richardson is another lifelong Longview resident. He graduated from LHS in 1973. He is an accounting manager for Crosby Lebus.